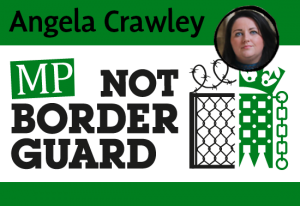 Following reports that MPs are turning over hundreds of constituents to immigration officials every year, Angela Crawley pledged to be an MP not to be a border guard. MPs have been accused of “colluding” with the Home Office as part of its “hostile environment” policy after figures revealed they have reported more than 700 cases of suspected immigration abuse to authorities since 2012. 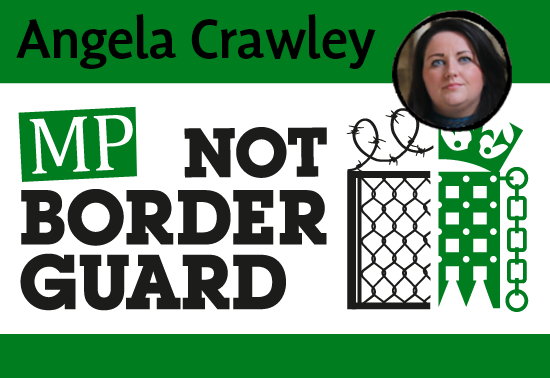 Campaigners have warned that elected representatives are acting as “border guards”, betraying the trust of their constituents and leaving vulnerable immigrants further isolated and marginalised. “People approach their MPs for support, often as a last resort in a time of need. Migrants often need assistance and advice with their immigration, visas or citizenship applications. “MPs are in a position of trust and authority, and it is a grotesque breach of that trust to inform on people who need their support to the Home Office. “As a Member of Parliament, I pledge to represent and advocate for all people living in my constituency as equal members of the local community, regardless of their immigration status. “My constituency office and surgeries are safe places and I welcome all of my constituents to seek representation free from fear of immigration enforcement.